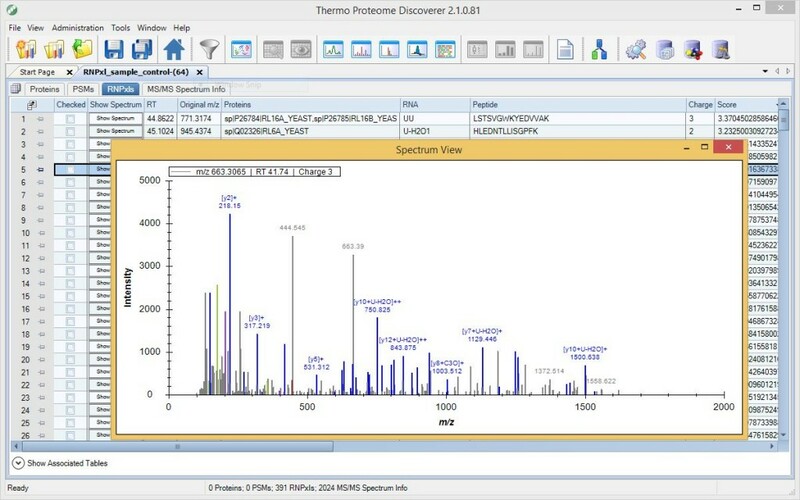 Windows 64 bit PC with Proteome Discoverer 2.x. We recommend at least 4GB of RAM. OpenMS Proteome Discoverer Community Nodes are released under a 3-clause BSD license. For additional information about OpenMS integration in Proteome Discoverer please visit the Getting Started page. This release contains important bug fixes and other improvements. Please note that the parameters of the RNPxl processing node and the LFQProfiler consensus node have changed. Users who upgrade from previous versions must remove and re-add these nodes from existing workflows. This release contains a number of significant improvements and bug fixes. We strongly recommend to update! New parameters have been added, others have become obsolete. Some parameter default values have changed. We recommend to download the current version of the processing and consensus workflows (see below), or to delete and reinsert our nodes to your existing workflows. Most importantly, the scaling of the averagine similarity score of LFQProfiler has changed. The prior default value is not a good choice. Q: My workflow crashes and/or an OpenMS community node complains that no spectra were found. What can I do? A: Check your Spectrum Selector settings. By default, MS1 spectra are discarded. Set the “MS Order” parameter to “Any” to also keep the MS1 spectra, which are required by our tools. Q: Why is the “MS/MS Spectrum Info” table in the results of the RNPxl workflow empty? A: Try setting “Spectra to store” to “All” in your MSF files node in the consensus workflow. Q: Can I use LFQProfiler in batch processing mode? A: Yes, you can. This is described in the User Manual. However, we do not recommend to do it. See the User Manual for details. Q: Can I extend the basic LFQProfiler workflow? Q: This doesn’t work. I get “Execution failed” without further explanations!